The weather forecast for Donington this weekend has fluctuated from rain to clear, to rain to clear. Light rain prevailed at the start of Sunday but it’s due to stop before the end of the race. For warm-up, the clouds had lifted and the rain had stopped, but the track was still damp. Times were similar to those in qualifying but unlikely to be remotely meaningful if the race is dry. 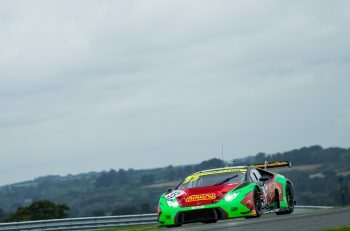 Phil Keen was quickest in the #33 Barwell Lamborghini with a 1:39.826, but Flick Haigh was in very close attendance, second-fastest with a 1:40.030. Third was Marcus Clutton in the JMH GTC-class Ferrari with a 1:41.558 and fourth was Mike Robinson in the #101 Balfe McLaren, back in rude health after starting problems yesterday. In GT4, the BMWs were first and second in the order #43 and #42 in the mid-1:40s, ahead of the #4 Tolman Motorsport McLaren. A quick glance in the Parker and TF Sport garages immediately after warm-up saw both of them empty so certainly no panic stations there either. 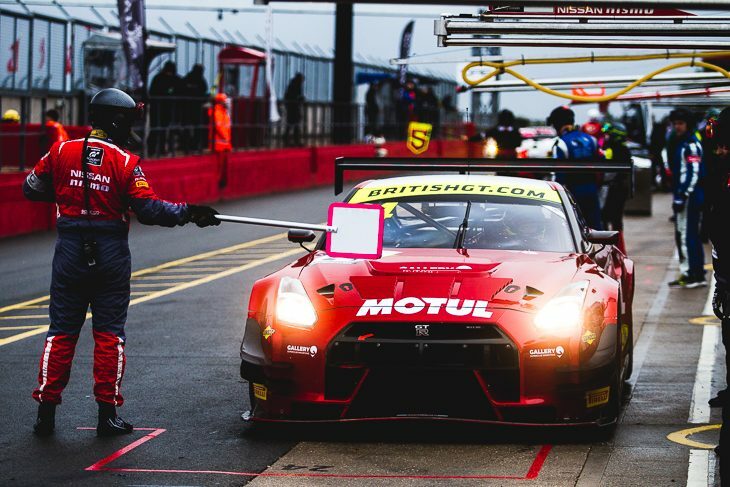 The RJN Nissan GT-R GT3 has yet another driving pairing this weekend, Struan Moore has been in the car each time it has raced, but is joined by Chris Buncombe, the ex-Aston Martin LMP1 man is classed as a Bronze driver, allowing Struan to race as a Pro-Am this weekend. 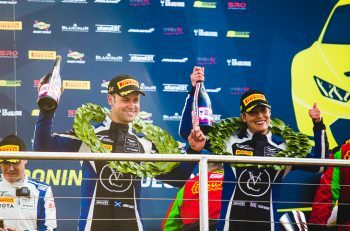 Graham Johnson explained that the Balfe McLaren will be bumped to the back of the GT3 grid after the re-starting problems in qualifying yesterday meant Mike Robinson could only complete a single flying lap. “It seems pretty harsh, only being able to do one lap is a problem in itself. We have also been given a five-second pitstop penalty for being ‘new’ to the championship, which also seems very harsh, but I guess it’s there in the rules. So with me starting last I’ll probably lose the pack a bit trying to get past others, but we’ll see how we go. I’ll probably have an easier time than Mike, to be fair, it won’t be easy for me, but it’ll be hard for him. “I get on so much better with the GT3 car than the [McLaren] 570 GT4 car. This is a real race car so I can be quick again. Me and Mike are trading times again, which is how it used to be when we raced the Ginetta. The car is a lot more communicative, I know what it’s doing more than the road-car based GT4. There’s more feedback from the steering and a lot more brake pedal feel. Also, we can adjust the traction control and the ABS, which we couldn’t on the GT4 car, even though other GT4 cars can.